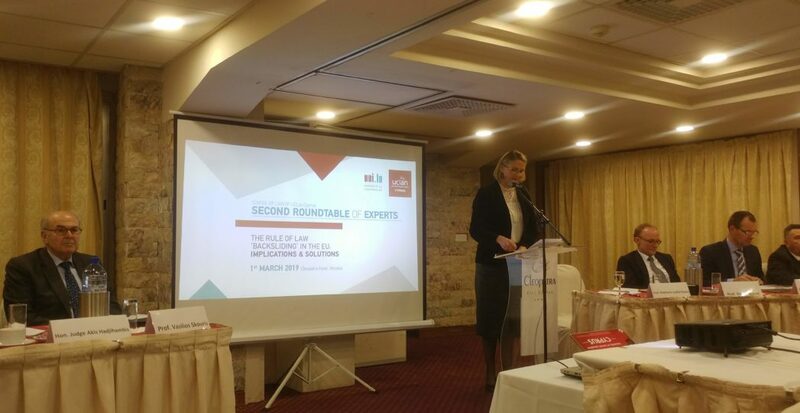 On 1 March 2019, the School of Law of UCLan Cyprus in collaboration with the University of Luxembourg, held the second roundtable of experts on THE RULE OF LAW ‘BACKSLIDING’ IN THE EU, which took place at the Cleopatra Hotel in Nicosia. 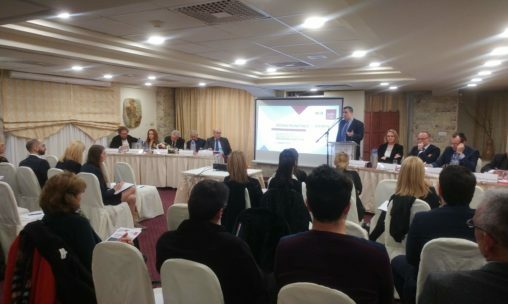 In a climate of trust and confidentiality, the aim of the roundtable, was to bring together judges of the national and supranational legal order, as well as academics, research scholars and/or specialised lawyers, to discuss the current threats to the EU’s rule of law and fundamental values, including but not limited to the ongoing crisis in Central and Eastern Europe, where democratic standards and the independence of the judiciary are allegedly undermined. The roundtable sought to provide an in-depth understanding of where the principle of judicial independence stands today in the framework of the EU and of the Member States, inter alia, as an independent EU legal obligation strictly addressed to the Member States and as a matter of national law enshrined in legal traditions and legal instruments, to be addressed also at the supranational level. The focus was to move beyond a theoretical conceptualisation of the rule of law ‘backsliding’, to a practical analysis and assessment of possible resolving mechanisms, including new paradigms of doctrinal approaches of the CJEU, legally enhanced sanctions under the EU Treaties and potential legal reforms. The event was open to judges, academics and researchers and there was no participation fee. 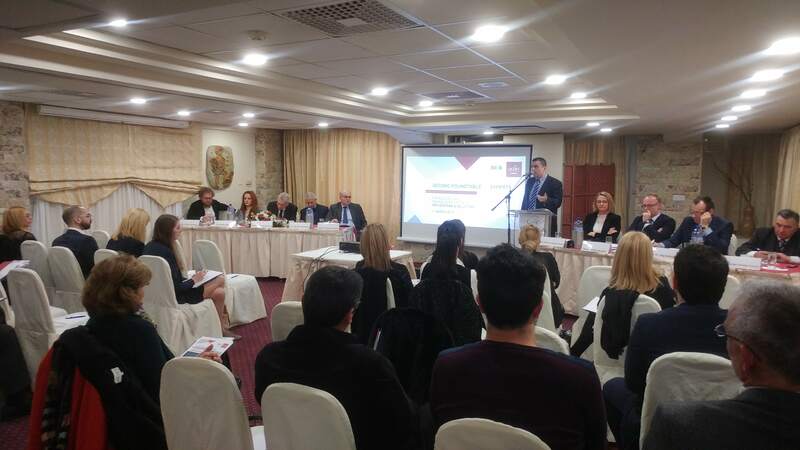 The event was chaired by Professor Stéphanie Laulhé Shaelou, Head of School of Law, UCLan Cyprus who welcomed for his Opening Speech Dr. Klearchos Kyriakides, Assistant Professor in English Law, Constitutional History and Professional Skills at UCLan Cyprus. Professor Vasilios Skouris, former President of the CJEU, then took the floor to discuss ‘The independence of the judiciary as the keystone of the rule of law in Europe’. 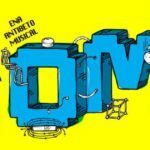 His speech can be found here. The ECHR perspective was next presented by the Honourable Judge George Nicolaou, former Judge of the European Court of Human Rights in a paper entitled ‘Upholding the Rule of Law at a Time of Turmoil’ which can be found here. He was followed by the Honourable Judge Akis Hadjihambis, former President of the Supreme Court of Cyprus, who presented a paper entitled ‘The backsliding of the Rule of Law – a Social Perspective’, available here. 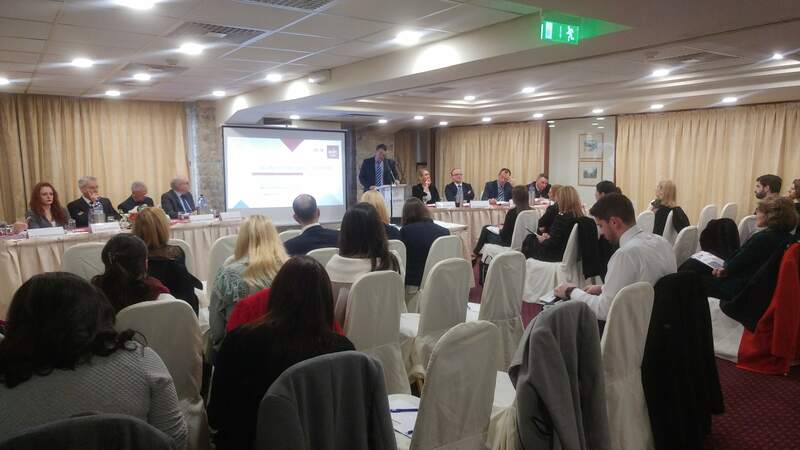 Subsequently, Dr. Natalie Alkiviadou, Lecturer in Law, School of Law at UCLan Cyprus, took the floor to talk about ‘The EU’s tool box on the rule of law protection’, focusing of Article 7 TEU. Finally, Professor Dimitry Kochenov Chair of European Constitutional Law at the University of Groningen, presented his paper entitled ‘Renewed Importance of Judicial Independence in the Context of a Multi-level Fight for the Rule of Law’, available here. A discussion and an open forum followed, with Judge George Arestis (ret’d), former judge at the CJEU and at the Supreme Court of Cyprus, Professor Dr Jörg Gerkrath, Head of the Doctoral School in Law at the University of Luxembourg and Professor Stefan Braum, Professor of Criminal Law at the University of Luxembourg, as discussants, as well as interventions by participants to the roundtable. A reception closed the event. 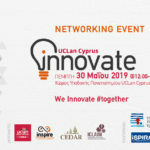 The School of Law of UCLan Cyprus would like to extend its most sincere thanks to all the members of the judiciary present on the day, particularly the speakers coming from the various layers of the legal order, including European, to the greatest benefit of all present.